Labour leader says return to graduate endowment is 'most obvious option' to address inequalities. A debate is needed over whether students should pay a modest contribution towards their education, according to Labour leader Johann Lamont. Ms Lamont, who is spearheading a review of Labour's policy on universal services such as free prescriptions, has suggested a return to the graduate endowment is "the most obvious option" to address current inequalities in colleges and universities. 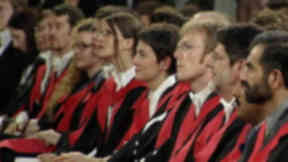 The graduate endowment saw students under the previous Labour-Liberal Democrat coalition at Holyrood pay money towards their education after they graduated. It was scrapped by the SNP, who described it as "back-end tuition fees". 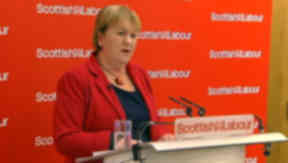 In a speech to mark her first anniversary as Labour leader in Glasgow on Monday, Ms Lamont said Scotland needs to have a conversation about whether fee-free education is worth the toll that it is said to be taking on colleges. One retired college principal described Labour's review of universal services as "courageous". But a student member of the Labour Party warned that tuition fees could be "the tipping point" for some students and discourage them from pursuing their education. Ms Lamont said: "We don't support up-front tuition fees because people perceive that as a barrier. "But we also have to recognise that, currently, the tuition-fees policy is being paid for by colleges. "That is simply not sustainable and I think we need to have an honesty about how we perhaps make sure that those with the broadest shoulders bear the greater burden." She added: "This argument is sometimes framed as: you are either in favour of free education or you are not. "I'm saying we need to have a much more mature debate about what is actually happening and a modest contribution." She added that some form of graduate contribution "is the most obvious option". "I think that was what was intended with the graduate endowment. I suppose my bottom line is we can't have what we have currently, and we can't have a Scottish Government which closes down the debate. "It may be that, ultimately, folk will say that this policy on tuition fees is more important than anything else, and these consequences for the college sector and for young people who find it more difficult to get into education, that is a price worth paying. But we're not currently even having that conversation." Ms Lamont described the SNP administration's fee-free education policy as "anti-Scottish" and "elitist". She said the education debate is one that she "will start but may not be able to finish" and called for an end to the Scottish political cycle where "elections become auctions". She contrasted her own education - where she "had a ball" at Glasgow University - with that of her husband Archie Graham, deputy leader of Glasgow Council, who went to university in his 30s and had to pay his way. Scotland's education system risks falling behind countries it "would have once looked down our nose at", she said, citing competition from universities in China, the US, India and South Korea. She said: "I am full of admiration for Archie and the many like him who struggle with work, family and other pressures, and fund themselves through education." She hailed Scotland as the first nation to aspire to universal elementary education with the School Act 1696, passed shortly before the Act of Union, but said Scotland "must face up to the fact that, in recent decades, we have fallen behind". "We are no longer top of the table and a smug regard for past glories is damaging and dangerous. We need to look at whether the current higher education funding arrangements are fair. "While it is undoubtedly true that higher education is a public good, it also results in private gain to those who undertake it. "Graduates not only receive higher lifetime returns, but a disproportionate number also come from more privileged backgrounds. These two points, taken together, mean that a no-charge system is essentially regressive. "There is no such thing as free higher education: under a completely tax-funded tuition system, everybody is forced to pay for it, including those on low incomes. "I want to set out a vision of Scottish education which will take more than one term to deliver, one that I will start but may not be able to finish. "I pledge I will set out a road map by the time of the next Scottish election and ask the people of Scotland to join me on that journey." Ian Graham, retired principal of Glasgow's John Wheatley College, said: "In the period since my retirement a year ago, I have witnessed the virtual dismemberment of Scotland's colleges. "It is really an attempt by the current Government to maintain the fiction that it is possible to have free services in Scotland without cost." He described universal services as "a cruel and wicked deception" which is "unsustainable" in the current circumstances. He added: "Johann Lamont has not dodged the hard issues. She has made some courageous statements about the sustainability of free services." Jamie Kinlochan, a Labour Party member and part of the National Union of Students' executive committee, said tuition fees on top of student loans of about £24,000, plus overdrafts, credit cards, and high-street loans "could actually be a tipping point, not encouraging more people in but actually putting people off". The Scottish Government said "record numbers" of students are attending Scottish universities. Education Secretary Michael Russell said: "Johann Lamont has now shown her true colours and they are Tory blue. There is barely a scintilla of difference between her plan to abolish free education and the disastrous fees regime introduced by the Tories south of the border. "Figures out just last week showed a drop of more than 6.3% in the number of people accepted to English universities. Scottish universities, in contrast, were up almost 2%. "If Johann Lamont had her way more than 3300 students accepted to university this year would not have gone. That is the reality of what Labour are now proposing. Thousands of students denied the opportunity to go to university. "While her Tory-inspired university policy is now obvious to all, the rest of her speech was a policy-free zone. Johann Lamont managed to speak at length but say very little. "The only other point of clarity is that she has no plans to fill the void left by her betrayal of Labour principles any time before the referendum. "The only certainty they offer is Tory cuts. And all of this underlines the urgent need for Scotland to bring home the powers which will allow us to protect us from this Tory cuts agenda by voting Yes in 2014."